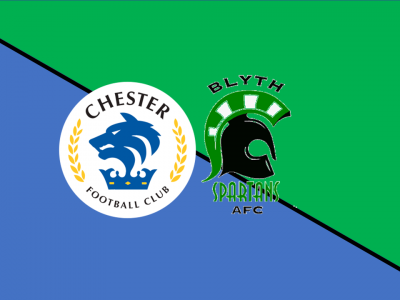 WOMENS | Chester FC Womens team to play at the Swansway this Sunday! 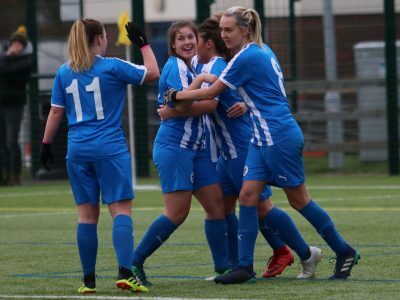 This Sunday, (10th February) Chester FC’s Womens team will play their North West Counties Argyle Cup tie at the Swansway Chester Stadium! BREAKING | Four more names confirmed for Offside Trust Celebrity Fundraising Match! COMMUNITY TRUST | Soccer School bookings now being taken! 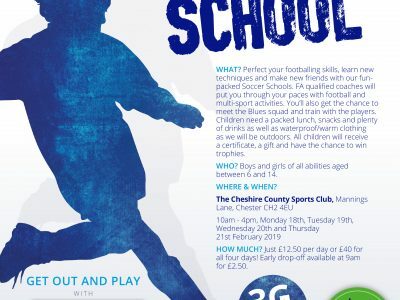 The ever popular Chester FC Soccer School returns for February half-term with Chester FC Community Trust now taking bookings.